It's another day for umbrellas and rain slickers, not to mention sweaters. The Riviera is just not delivering the usual idyllic sunshine and warm Mediterranean breezes this year. The film market stands that border the beach in little cabanas have their doors closed for protection from the wet, and their inviting tables and deck chairs on the sand are vacant and dripping. The first film in competition this morning, "You Ain't Seen Nothin' Yet" by Alain Resnais, didn't deliver either, and I can only hope that the title is prophetic, and that the revered 90-year-old director ("Hiroshima Mon Amour," "Last Year at Marienbad") has some future masterpieces in store for us yet. For "You Ain't Seen Nothin' Yet," Resnais assembled a large cast of famous French actors with whom he's worked over the years, including Sabine Azema, Anne Cosigny, Mathieu Amalric, Michel Piccoli and Lambert Wilson. This distinguished cast was supplemented by the young stage actors of the fledgling theater company Colombe. The visual techniques and acting style of the stage are pertinent to the look of "You Ain't Seen Nothin' Yet." In the film's press book, Resnais says, "In my films, I'm constantly looking for a theater-style language and musical dialogue that invites the actors to get away from the realism of everyday life and move closer to a more offbeat performance." In just a week the French Riviera will come alive with the hoopla of the 65th Cannes International Film Festival, running this year from May 16 through 27. Despite the international proliferation of film festivals, like it or not, Cannes remains the biggest, most hyped, glitziest and most diverse event the world of film has to offer, the envy of every other festival. As if the world at large also trembled at the import of the approaching festivities, previous Cannes festivals have been prefaced by volcanic eruptions, hurricane-force storms, national strikes, and bomb threats. What can we expect this year, when the festival officially becomes a senior citizen? Don't look for any rocking chairs along the Croisette, for one thing. Judging by the lineup of major directors represented in the Competition and other official sections, it's more likely that major revelations will be rocking the Palais. And if it's like other years, we can expect the festival will manage to rock a headline-grabbing major controversy or two as well. For the fourth year in a row, Cannes will open with an American production, Wes Anderson's "Moonrise Kingdom," guaranteeing that name stars including Bruce Willis, Bill Murray, Edward Norton, Frances McDormand, and Tilda Swinton will be gracing the red carpet on Wednesday, May 16 for a glamorous kick-off. Judging by the trailer available online, the real stars may be the large cast of kids in a comedy/drama that looks to be strong on surreal wackiness. 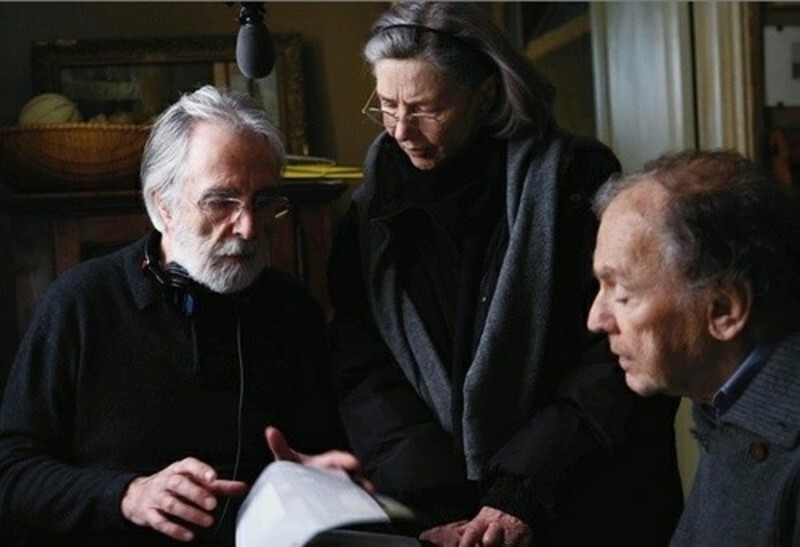 Even a quick glance at the list of films in competition yields an eye-popping number of famous names, including David Cronenberg (Canada), Michael Haneke (Austria), Abbas Kiarostami (Iran), Ken Loach (UK), Cristian Mungiu (Romania), Alain Resnais France), Carlos Reygadas (Mexico), Walter Salles (Brazil), and many more. This competition could be a veritable Olympics of the cinema gods...or not, as sometimes happen, because even world-class filmmakers and certified masters can disappoint. It's Friday the 13th in Cannes, and that has got to mean something good. An overcast sky threatening rain means that there couldn't be a more perfect day to stay inside and watch movies. The morning began with the 8:30 am press screening of Nanni Moretti's "We Have a Pope." Hmm...a comedy/drama about the Vatican by a self-professed Italian atheist? Moretti is known primarily for his wry, intellectual, and largely autobiographical approach to comedy in films including "My Diary" and "April, " but also for serious drama in films including his 2001 Palme d'Or winner "The Son's Room." Subjects he has often lampooned include leftist politics, psychoanalysis, water-polo, and the cinema itself. In "We Have a Pope," the funeral of a dead pope has just taken place and the College of Cardinals is convening to elect the new pontiff from among their number. Moretti goes to great lengths to represent this ritual gathering with great accuracy, but injecting an escalating number of comic moments as the film traverses from the ceremonial pomp of its opening scenes to take on a lighter tone. As if the voting for a pope were an elementary school spelling test, the prelates cross out names on their ballots, look to heaven for guidance, and even cheat, some slyly spying on what a neighbor seated to the left or right is writing. After a few rounds of voting, the winner is revealed to be a candidate who was not even in the running, a stunned Cardinal Melville (surely Moretti's tip of the hat to iconic French director Jean-Pierre Melville), played by veteran French star Michel Piccoli. She sits on the balcony outside a hotel suite at the Cannes Film Festival and smokes a cigarette and looks very serious. I have met a lot of French actresses, and two things they are very good at is smoking cigarettes and looking serious. Not many of them look this good while they are doing it. It seems to be written in the subconscious of the world's moviegoers that a feature film should be somewhere between 95 and 120 minutes long. Much shorter, and you don't get your money's worth. Much longer, and you start getting restless. We've been trained to expect two hours.